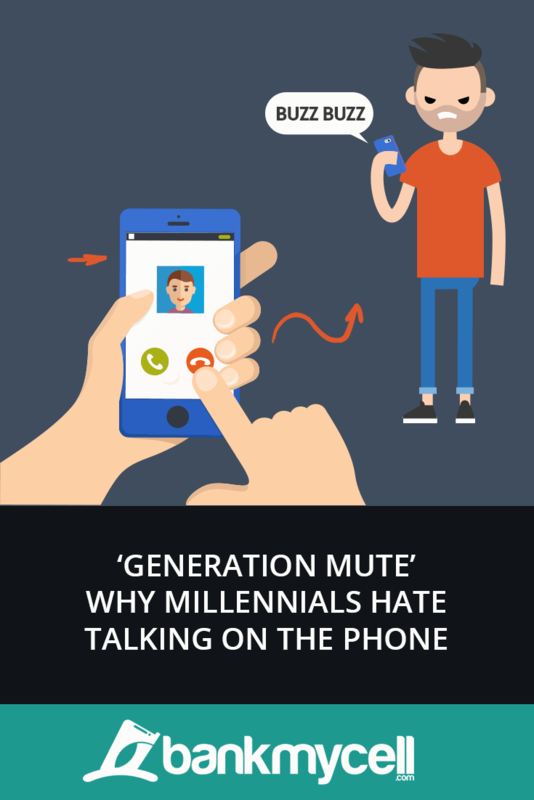 The ‘generation mute’ trend is all too apparent, people growing up in the digital age have adopted alternate forms of communication causing a decline in voice calls. Surfacing technologies like SMS, MSN Messenger, BBM, and Myspace have all paved the way for today’s most popular forms of digital communication such as WhatsApp, Facebook Messenger, and Snapchat. With daily smartphone usage continually on the rise, why is the volume of calls from these supposed ‘phone addicts’ ironically deteriorating? To come up the right answers for our survey we trawled the web for Q&A site conversations, blogger, journalist, and psychologist opinions. WHY DO MILLENNIALS HATE PHONE CALLS? WHY DO MILLENNIALS AVOID CALLS? Unknown numbers: To get a better data set we deliberately avoided including calls from numbers with no caller ID or were unknown. Telesales and call bots are far too regularly ignored and including them would consume responses providing us with irrelevant data. What educated conjectures can we make based on the response data? Calls can be time-consuming: You have no way to tell if the call will take minutes or hours, millennials want to communicate faster and getting straightforward answers. Calls are disruptive: In most cases, your phone will vibrate with a call at a random time of the day, potentially derailing whatever activity you’re doing if you answer. Calls come off presumptuous: On the whole, when someone calls you their needs are greater and there is an assumption that you have the time to be interrupted. Calls are commonly Inefficient: When you’re using messaging services you can dip in and out when you want. Furthermore, sending an email or message via an app you’re getting straight to the point without any ‘weather today’ small talk. Calls can be annoying: Getting a presumptuous call from someone creates a negative reaction. People often sigh or roll their eyes when their needy or boring friend calls at an inconvenient time. Calls are stressful: Everyone is so productivity-driven that, in many situations like work, calls can be stressful. You could be working on a deadline or rushing to get out the door and this buzzing distraction interrupts you at the wrong time. People like to avoid conflict: Calls leave you little time to compose yourself. You can feel vulnerable in terms of how you come across and what you’re going to say. Calls are rarely private: You can message until your heart is content in a room and no one will know what you’re saying. If you want a degree of privacy on the phone you’ll have to relocate yourself to stop people eavesdropping. The highest response by far is the excuse their phone is on silent, which is often a legitimate reason for missed calls. Turning off sound on your phone was just naturally adopted as a form of social etiquette over the last decade or so, after all, the colossal volume of notifications from group chats and apps would be outrageously irritating. WHO’S SPECIAL ENOUGH TO WARRANT AN ANSWER? It seems slightly ironic, data suggests that people are more likely to let their friends and family dial out on their phone, 54% collaboratively. Where their oldest friends and blood relatives get ignored, millennials that know which side their bread is buttered and rarely ignore calls from their partners. It appears however disruptive, time consuming and presumptuous the call may be, the confrontation with their loved one simply isn’t worth it. DOES APPREHENSION ANXIETY PLAY A PART IN OUTGOING CALLS? Being in front of a screen since they were born can attribute to people not having the ability to connect effortlessly with others. This particular phenomenon has a name (telephonophobia) and it’s essentially defined by a mental anxiety of interacting with others on the phone. Over four out of five respondents have felt they have to prepare themselves before making a call. When you break this down you can see why people opt to hide behind emails and messaging. “Am I going to come across bad or say something wrong?” When you talk to someone on the phone, you can feel vulnerable as you have less time to professionally convey your opinion or articulate your reply. Unfortunately, without people challenging themselves and hiding behind technology, they risk not developing these communication skills and becoming increasingly isolated. HOW MUCH DO THEY CARE ABOUT THEIR FREE CALL MINUTES? Even though people still require their phone in many cases, both work and personal, these results show just how redundant the unique selling point of ‘unlimited minutes’ are on a millennials phone plan nowadays. Examining the results, it seems rather than labeling millennials as rude for ignoring calls, we should adapt to the way today’s fast and results-driven communication has reformed the way people communicate. Calls are presumptuous, time-consuming and often disruptive, however generation Y and Z should also take the time to appreciate the mental benefits of developing these core communication skills when necessary. It’s very easy to isolate yourself behind a screen, but as we know from our cell phone addiction study, this can lead to eroding the basic communication skills we need as humans, which can also lead to mental health issues later in life. Contacting millennials by voice call is becoming increasingly difficult, particularly for telesales companies that rely on them as their primary form of communication. Businesses should look to understand why people in the digital generation are screening calls and look to evolve their outreach.